Join us at State Theatre New Jersey for a night filled with Simba, Timon, and Pumbaa in The Lion King on July 24 at 10:30am and 7pm as part of the Free Summer Movie Series! Released by Disney in 1994, The Lion King became an instant classic. This was Disney’s first animated film that had a completely original storyline. It features music written by Elton John and Tim Rice. Rice was also the composer for other popular Disney works such as Aladdin, Beauty and the Beast, and The Little Mermaid. Originally, The Lion King started out as a realistic type movie about animals that was going to be similar to National Geographic stories. Due to his previous involvement on Disney’s Aladdin, Rice suggested that the movie be turned into a musical and that they hire Elton to aid in writing the songs. The movie follows the life of the young lion Simba, the heir to his father, Mufasa, as they live in the Savannah in Africa. As Simba begins to get eager to take over the throne, his villainous uncle Scar becomes jealous of him. Scar’s jealousy runs wild when he murders Mufasa, leading Simba to run away from home. During his journey in the wild, he meets Timon and Pumbaa and they all learn to live the “Hakuna Matata” lifestyle. As Simba gets older, his childhood friend Nala reaches out to him to alert him of Scar’s evil reign. Simba then decides to return home to stop him and return the Savannah to its natural order. “Hakuna Matata” was not originally written in the script. Instead, they had a song about eating bugs called “He’s Got It All Worked Out.” Later, they felt a song about bugs would not do well so when the research team came back from Africa discussing the popular phrase “Hakuna Matata,” they knew they had to write a song about it. “Hakuna Matata” originally had an extra verse in which Timon sang about his difficulty fitting in with other meerkats. 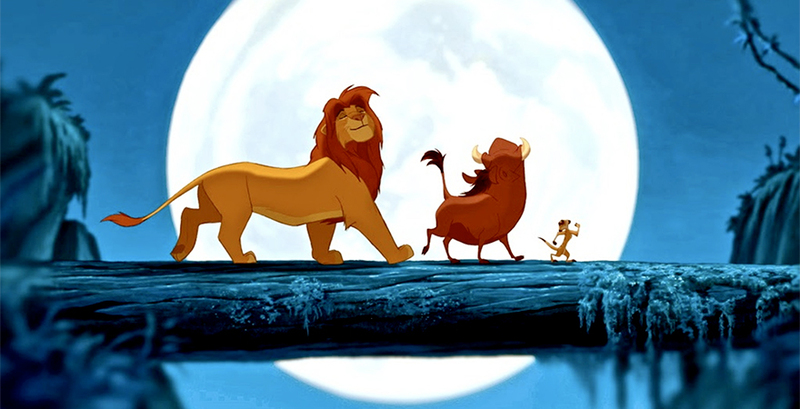 “I Just Can’t Wait to Be King” was originally written with the title “To Be King” and was to be sung by Mufasa. The song was too high for James Earl Jones to sing, so they decided to change the title and have Simba sing it instead. Rice wrote over 15 different versions of “Can You Feel the Love Tonight.” The version that played throughout the credits and won an Oscar® by Elton John was the first version he wrote. The movie was supposed to open with dialogue, but when the directors heard the final version of “Circle of Life,” they knew the movie had to open with it instead. Don’t miss the chance to see The Lion King on the big screen as part of State Theatre New Jersey’s Free Summer Movie Series this summer on July 24 at 10:30am and 7pm! Make sure to join us for the last two free movies of the summer, The Great Muppet Caper on July 31 and Wonder on August 7. 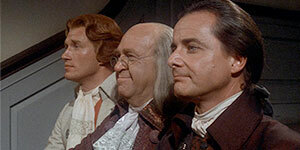 How well do you know 1776?